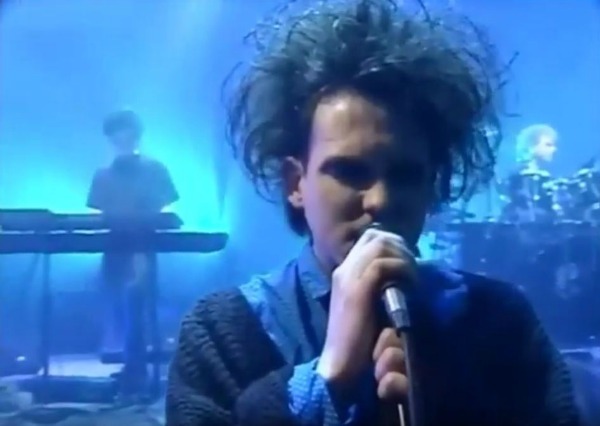 For this week’s installment of Vintage Video, we present a real treasure for fans of The Cure: about a half-hour’s worth of footage of the band rehearsing its Prayer Tour set at Bray Studios in Berkshire, England, in April of 1989, the month before Disintegration was released. The Prayer Tour would keep The Cure on the road around the world for much of 1989, and saw the band playing arenas and even stadiums in the U.S., with Love and Rockets and the Pixies opening some of the larger concerts, as Disintegration became a hit in America. Check out the rehearsal footage below via uploader Hungry-Ghost.